Rene Protein Cold Wave Lotion is formulated to maximise the natural condition of hair during waving and insure moisture and structural reaction to smoother and protect hair & scalps. 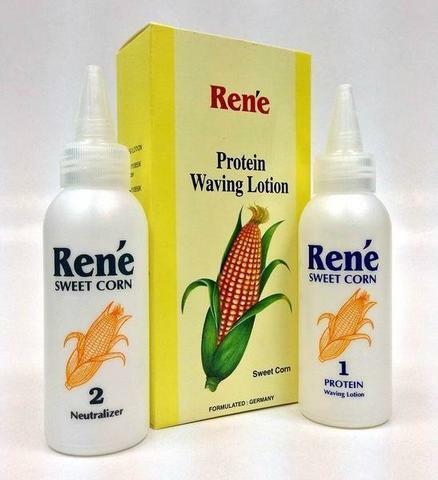 The special Rene Sweet Corn Protein benefit in helping hair retain structure, lustre texture thus you retain more lusting, uniform curls. 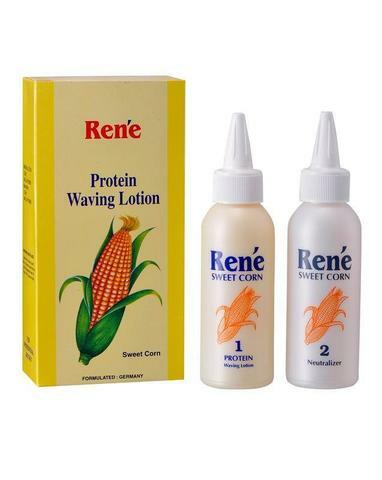 6) When hair forms firm 'S' pattern, rinse curls carefully and thoroughly with warm water, use easy water pressure, blow with towel to avoid dilution.